In December Ken Baynes and Eddie Norman were invited to speak (via Skype) at the Principals Meet that is held annually at DSK International Campus, Pune in India to discuss the importance of creative careers in the 21st Century. The topic for discussion was ‘The Perfect Misfits’, so clearly irresistible to us. Mr. Ninad Panse is the CEO at DSKIC and he outlined the concept in his invitation to the Principals as follows. To explain further I would like to quote Steve Jobs, a perfect misfit, an example of fighting the odds and creating a successful company solely driven by passion and creativity. As the heads of the schools you may have encountered these ‘misfits’ at your school, a child who likes to draw in history books or the one who always makes paper planes. These are the children who may not want to grow up to become doctors or engineers, but they may say ‘I want to travel the world/or I would like to make a flying car’ etc. These imaginations need not be dismissed as mere imaginations any longer, because these have now shaped into 21st century mainstream careers. Ken and I clearly wanted to contribute to such a discussion as might be expected, but in the end Skype rather limited what we were able to offer. 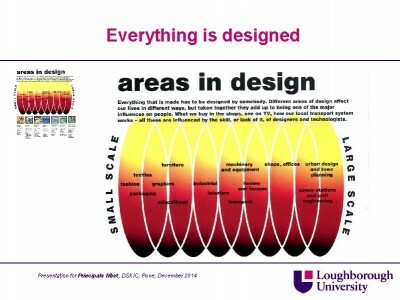 However, the process also inspired us to consider how best use could be made of the Internet for such potential opportunities, or how best to design ‘webinars’. We based our presentation around 10 PowerPoint slides and we had a carefully prepared text. These were the headings. With apologies, we’ll not detail the content here, although our intention is to build LDP’s first webinar around these ideas. So hopefully it will not be ‘secret’ for very long. We had in mind a 20 minute presentation, 2 minutes per slide, followed by a discussion. But is this the most appropriate format? We would really welcome your feedback? We would also welcome advice on the most appropriate webinar software. Clearly we are investigating the possibilities and we’d like to do our best to get it ‘right first time’ (or maybe that’s ‘second time’). 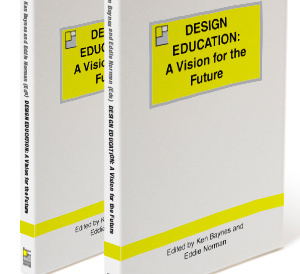 As you would expect the ideas around which the webinar will be founded are those we have published in LDP’s first title Design Education: A Vision for the Future.